(For Part 1 of this series, please click 10 Minute Triage: Assessing Problems Quickly, Part 1). One of my favorite commercials is from a motor oil company. The scene begins with a man who is sleeping soundly. His slumber ends abruptly when he is physically grabbed by the collar, shoved on a treadmill and forced to run in an all out sprint from a cold start to prove a point about the abuse we give our cars in the morning. Getting paged at 3 a.m. is like that poor man running on the treadmill–not quite awake in his PJ’s and bunny slippers. That is close to being on call … if you added people running around with their hair on fire, an alarm going off in the background, and bombs going off over your head like you were storming the beaches of Normandy. That is what being on call is like at 3am. You are tired, confused, everything is loud, and you’re still in your bunny slippers. So how do you quickly solve the problem while only half awake? In the first half of this article, you learned about baselining and have learned what “normal looks like.” So now let’s attack the problem. Storming the beaches of Normandy. In my case, every production server has what I call a “Triage Kit,” which is essentially a directory containing SQL and scripts that I can get very quickly. It may not be a file, but there is a directory that is safe to use (i.e. large and not on a busy filesystem) where I can send output and archive off if necessary. When it is time to troubleshoot, I have three session windows going at one time. The top half of my screen is divided in two. One window is showing a trailing db2diag.log (tail -f -100 db2diag.log) and one window has NMON online with CPU and Disk displayed. The bottom half is one lone window where I am tossing commands from my triage directory. But the key here is speed. Scripts and SQL are great, but what if you have an OLTP database with over 10,000 connections running SQL rapidly? Can you quickly find the details you need in a snapshot that is so long that the file can’t open in VI properly? What are your alternatives? GUI is not a four letter word. I am a firm believer that every DBA must be self-sufficient via command line, but when speed is a factor (remember $237 a minute from the last article) GUI is the way to go. Heck, I can wash, wax, and detail my truck over a four hour period, but if I can donate $20 to a high school band who can attack the truck with an army and crank it out in 30 minutes, that is time and money well spent. All hail freeware. 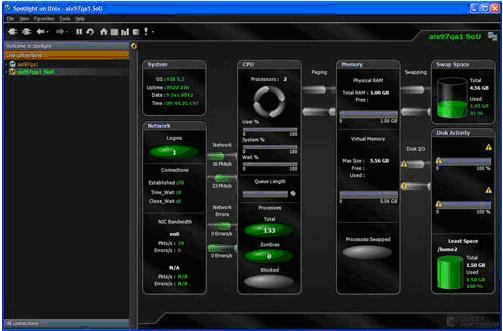 I love freeware like NMON Analyzer. But for real time DB2 monitoring, there are tools like DB2MON (www.db2mon.com), which as far as I can tell, has been around since the beginning of time (v6.1 at least). Names have been blacked out to protect the innocent. Essentially DB2MON is a simple GUI front end to your snapshot data that gives you some basic drill down capability. It is simple, is free, and it saves a lot of time. This should be part of any DBA’s arsenal. The big guns for quickly triaging situations would probably be Quest Spotlight, DBI Brother-Panther, and IBM Optim. All are very powerful tools that give you various advantages. Optim is really good at graphs and easily ties into DB2. DBI’s Brother-Panther is very good at finding the cumulative effect of a single SQL statement (run 10,000 times) on a server. Spotlight gives very good visual representation and drill down capabilities. As attractive as GUI tools are, they are not perfect. Most tools come with a licensing cost; some have a large footprint (but not all); some may need their own infrastructure. Even freeware can have a drawback that it may not run perfectly every time. When used as a complimentary tool to your arsenal–not just the only tool–freeware tools can be very effective in troubleshooting when performance starts to suffer. I can say from personal experience that having at least one GUI tool has cut my analysis time in half. Why is my bufferpool only at 70%? Why is my CPU spiking at 90%? How come my disks are going crazy? Going into the “how and why” of DB2 and Operating System behavior is an article on its own. There are also those who can speak about it in much more depth than I. My purpose was to give you a method to analyze quickly and come to your own conclusions. But before I wrap up the article let me give you some interesting tidbits from my IDUG 2012 co-presenter, Pavel Sustr (IBM Toronto Lab). When analyzing your DB2DIAG.log, where do you look? Well, there are a few phrases that you can search to help narrow down where the problem started. Note the EUID from the DB2DIAG.log entry and backtrack to the first unrelated entry (such as a STMM adjustment, which is informational – not an error). Use this EDUID to find the corresponding TRAP file produced by DB2 in the sqllib/db2dump directory. Looking in a TRAP file is like deciphering hieroglyphics. Unless you have some secret decoder ring, it is often hard to decipher. Most leave it to IBM support to work through. However, if you pay attention, you can gleam some information out of the trap file itself. To detangle some of the stack signals, you will want to run the trap file through “c++filt”. See the example below. It is best to read a TRAP file from the bottom up. 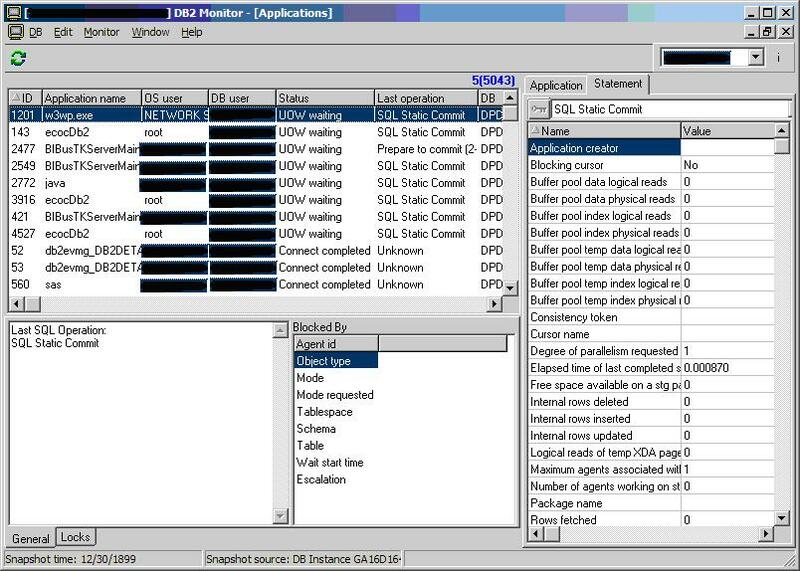 For example, you can see DB2 was moving extents and playing with containers before a bufferpool adjustment, which is when the TRAP occurred. Notice the Signal code in the TRAP? That gives a good clue what was going on and gives a possible cause of the problem. Here is a list of useful signals to watch for. Notice signal 11 shows that the instance was the source of the trap. Instance trap. Bad programming, HW errors, invalid memory access, stack and heap collisions, problems with vendor libraries, OS problems. The instance shuts down. Instance panic. Self induced by DB2 due to unrecoverable problems. Typically associated with data (disk) corruption. The instance shuts down. In this case, search for “trap sqlbAlterPoolAct sqlbExtentMovementEntryPoint” and you’ll see that an APAR does exist for this issue. In this series, we have learned the basics of troubleshooting in a rapid fashion. We learned the importance of baselining your production systems both at a DB2 and OS level. We learned various DB2 and OS commands to gather the information we need. We have learned that GUI is not a four letter word and that GUI tools can help when time is of the essence (at a price). Preparation, we see, is the true key to troubleshooting rapidly. Finally, we learned some advanced techniques in sifting through a DB2DIAG.log and a DB2 TRAP file. Armed with the techniques and tips in both articles you now can go forth and diagnose your own ill performing database servers. 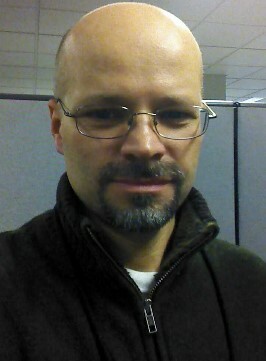 About the Author: Michael Krafick has been a production support DBA for over 12 years in data warehousing and highly transactional OLTP environments. He was a session speaker for “10 Minute Triage” at the 2012 IDUG Technical Conference. Michael also has extensive experience in setting up monitoring configurations for DB2 Databases. He can be reached at “Mkrafick @ bellsouth.net”. Linked-in Profile: http://www.linkedin.com/in/michaelkrafick . Michael Krafick is an aspiring Zamboni driver and well known twig-eater. During the day he is a Sr. Database Engineer for a Fortune 500 company. 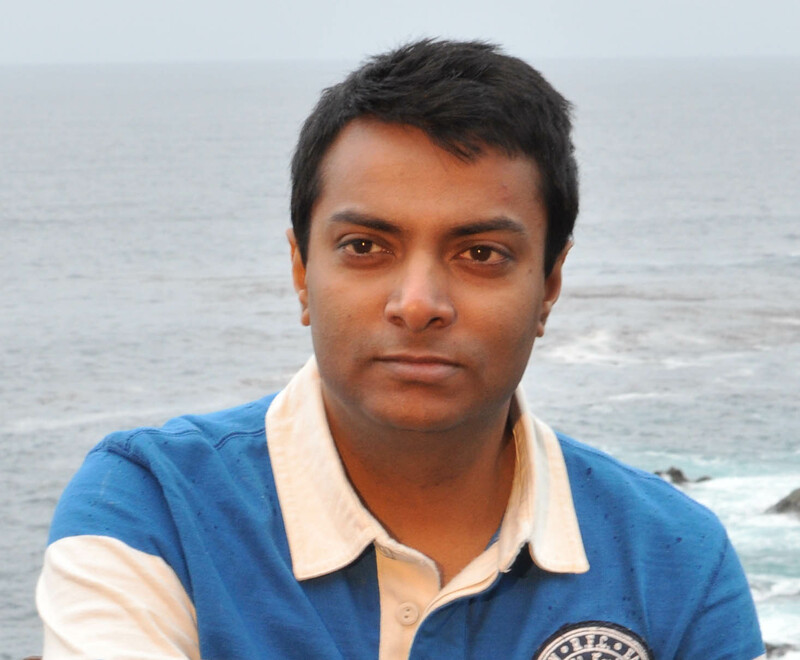 He is a frequent contributor to datageek.blog, an IBM champion, member of the DB2 Technical Advisory Board, and IDUG speaker Hall of Fame inductee. With over 18 years experience in DB2 for LUW, Mike works hard to educate and mentor others. Pingback: Heading to IDUG 2013? Learn from my experience. Pingback: Technical Conference – It’s a skill builder, not a trip to Vegas.